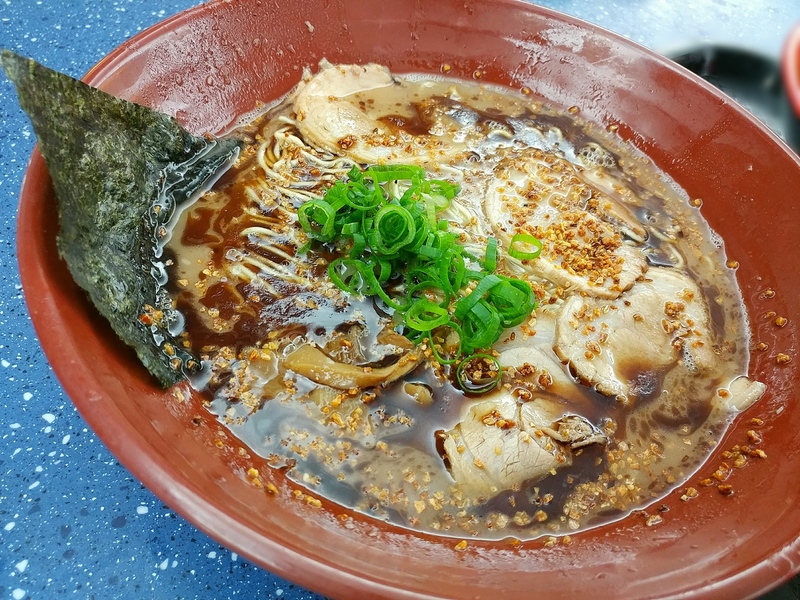 Whispers of HWKR had appeared on social media feeds when doing some pre-trip scouting, and decidedly had to be squeezed into the plan, particularly as Koi Dessert Bar was one of the first eateries rotating in. 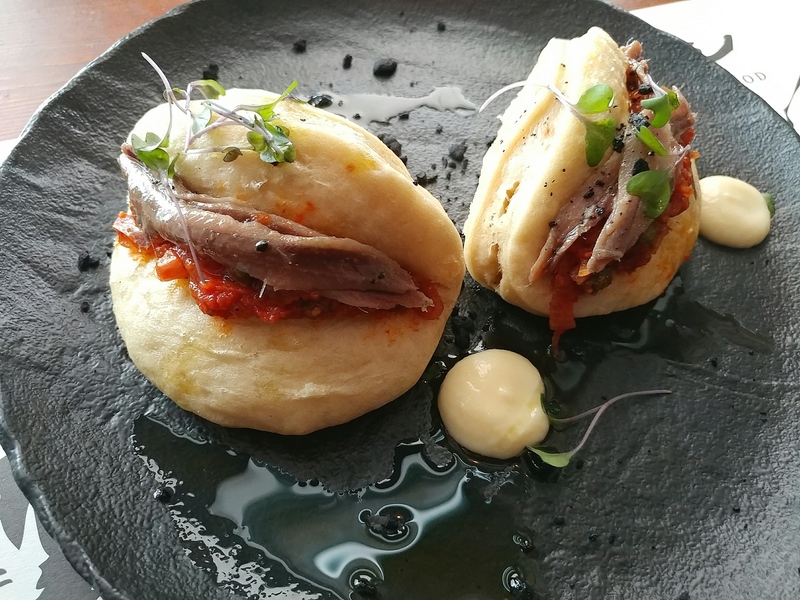 As Sydney is a much less frequent destination than Melbourne, it was one of the rare opportunities to try Koi Dessert Bar’s wares. 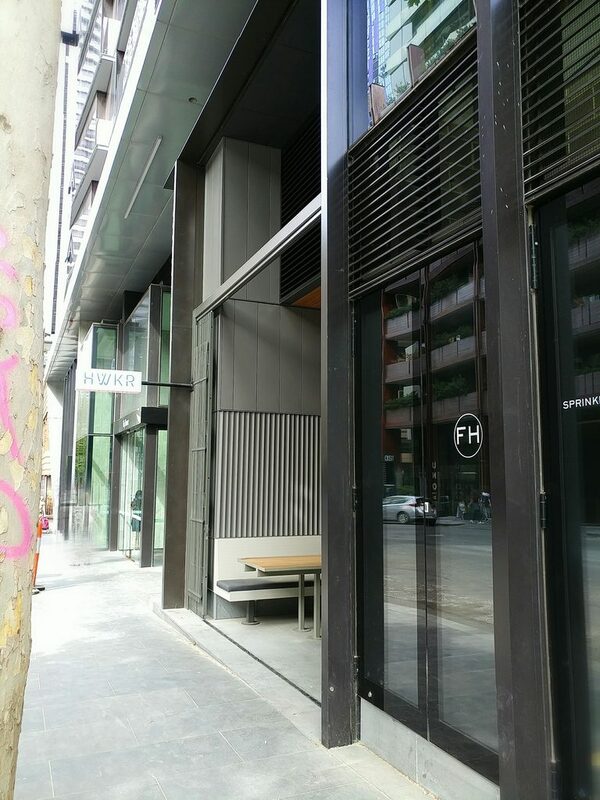 Walking down A’Beckett Street, past a construction site, the sign for HWKR could be spotted just extending from the side of a building. Probably more visible when lighted at night than in the daytime when its rather light pastel colours don’t really stand out, you’ll see it if you know what you are looking for (the directions from Google Maps also help). The outside of HWKR, seen from the street. Located on the ground floor of a residential tower, as is commonly the case, the entrance is also quite understated, and gives little fanfare to what lies behind the glass doors. 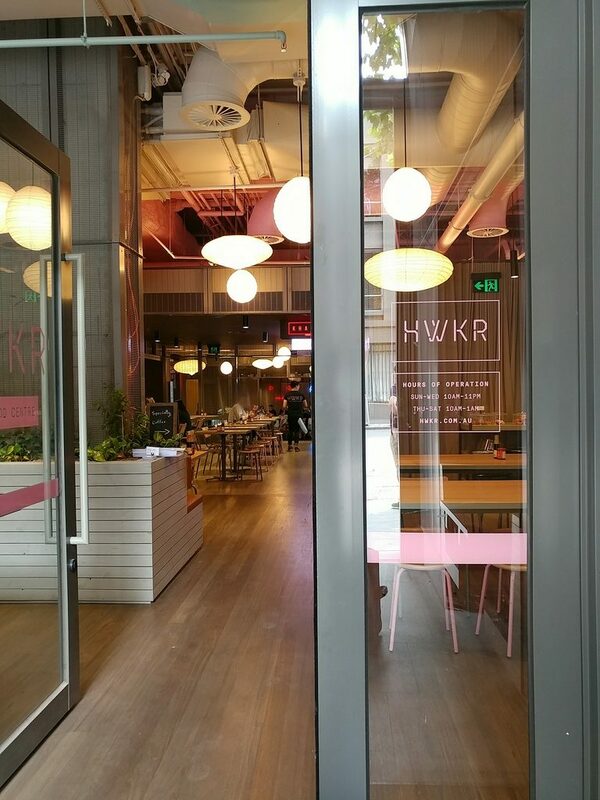 A glimpse in through the door to HWKR. HWKR is a surprisingly large space that extends further back than you expect, becoming a lower mezzanine level about halfway through. There is a variety of seating options, ranging from table and chair setups fitting two, to longer tables to accommodate larger groups. 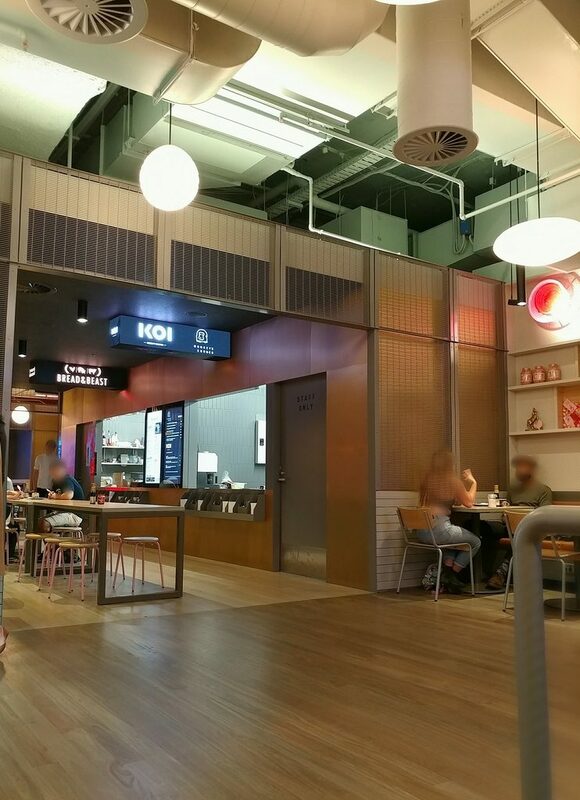 Reminiscent of hawker centres, some of the tables have fixed stools (for practicality in actual hawker centres, so no one has to deal with the trip hazard of overturned stools or ones that get pushed out to the middle of a walkway). Some of the seating and some of the stalls. It is air-conditioned, with clean, straight-lined design. Light wood laminate floors with a bit of gloss reflect some of the glow from the paper lantern lights above. 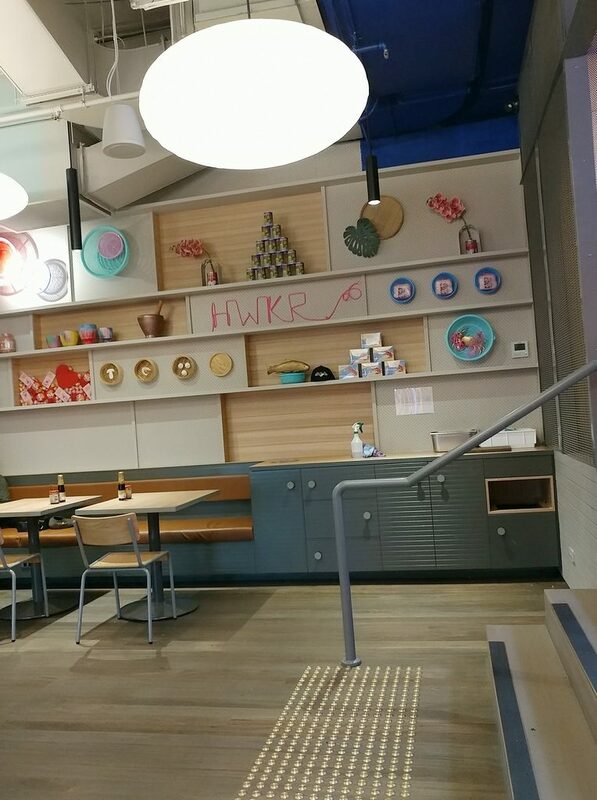 In keeping with the asian hawker centre theme, display shelves along one wall show off items like steamer baskets, a mortar and pestle, and plastic sieves. 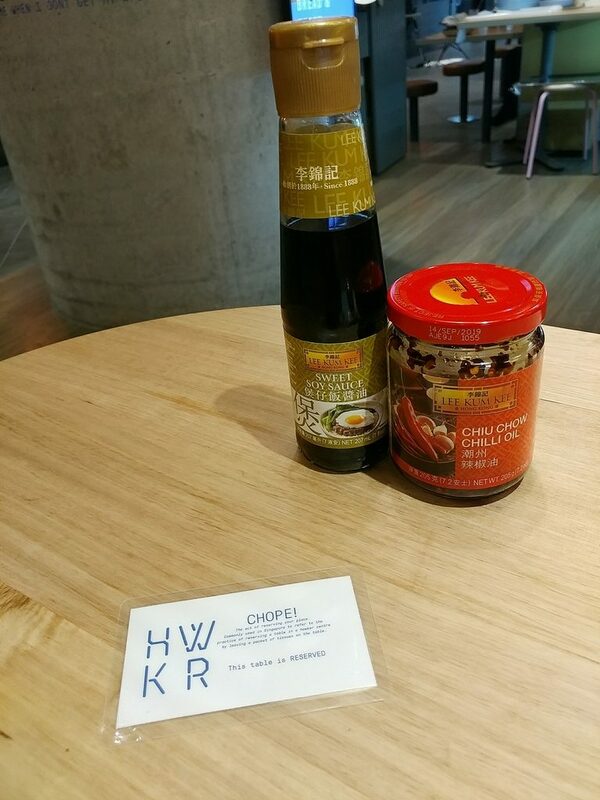 Bottles of soy sauce and chilli oil sit at each table so diners can add extra flavour to their food. Easy listening pop music from the likes of Michael Jackson and George Michael played in the background at not too loud a volume. It was reasonably busy on a weekday mid-afternoon, but the open space meant that voices diffused out, so it wasn’t too noisy. The shelves with thematic items on display. 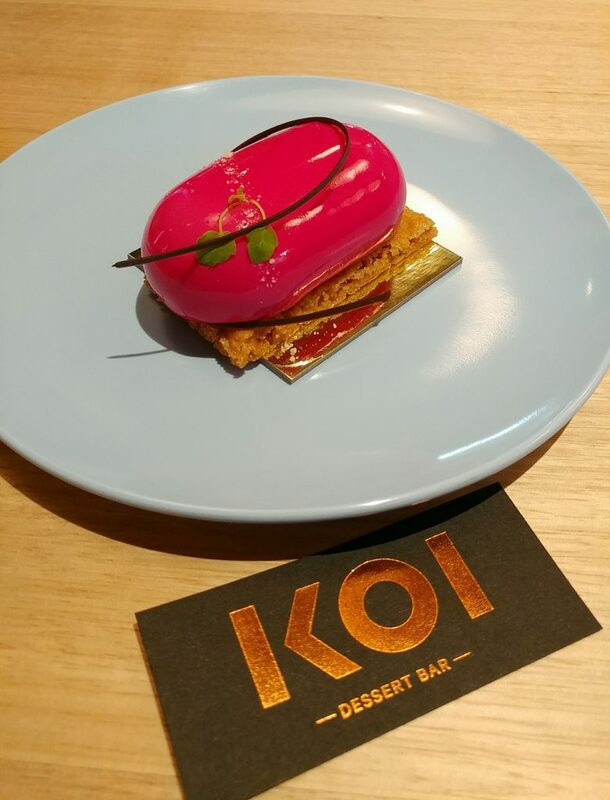 As mentioned, the aim was to visit the visiting Koi Dessert Bar, so after glancing through the offerings at the other food stalls, a beeline was made for said eatery. The main stall had savoury food options (not what was currently being sought), or plated desserts that were only available after 5pm. It was too early to be able to order the plated desserts, but the standalone cake cabinet on the other side of the room, fortunately, had a range of other offerings. 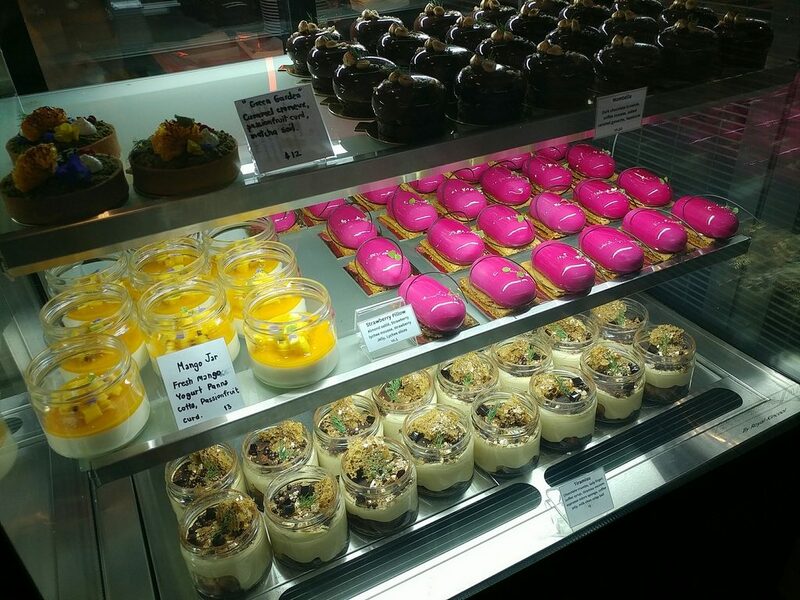 One cabinet of Koi’s desserts. 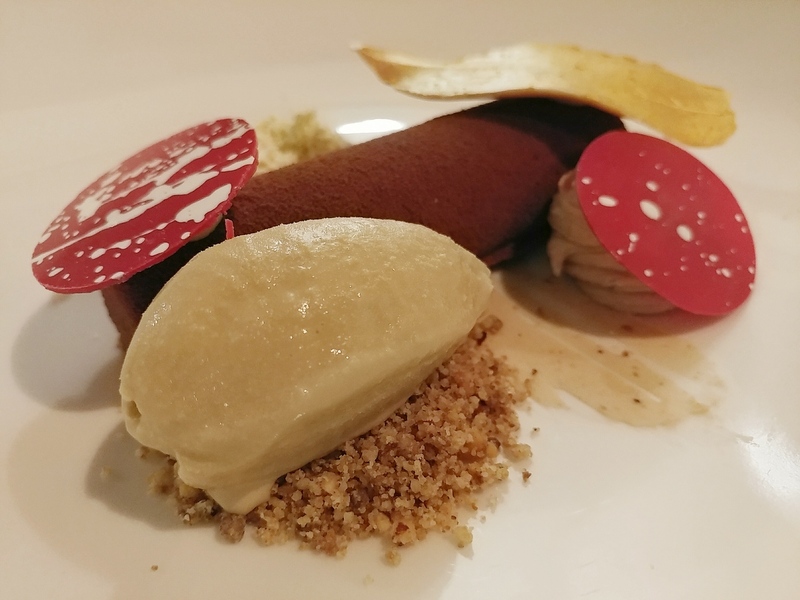 If the desserts on Masterchef looked impressive, these certainly lived up to that standard, with glossy glazes and intricate decorative details. 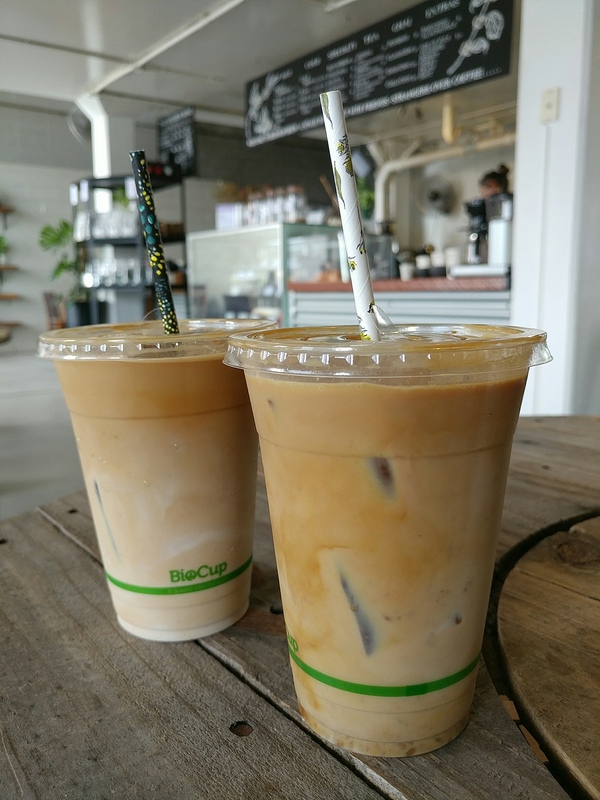 Every so often, one is struck by the paralysis of choice, where there are too many appealing possibilities to pick between, and the potential of what could be is countered by the likely opportunity cost of the other options forsaken instead. After much vacillating, It came down to a choice between the Popcorn, the Strawberry Pillow, and the Nomtella. Staff behind the counter offered to help with the selection, and tried to elicit what flavours appealed most. Trying to avoid picking a too-sweet cake that might wash out the component flavours, I went with the one that they suggested was the least sweet. 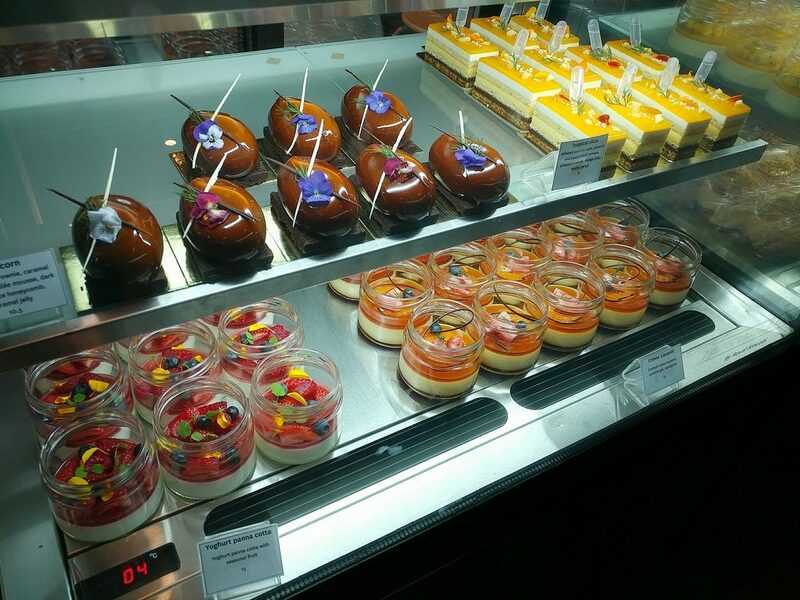 Another cabinet of Koi’s desserts. 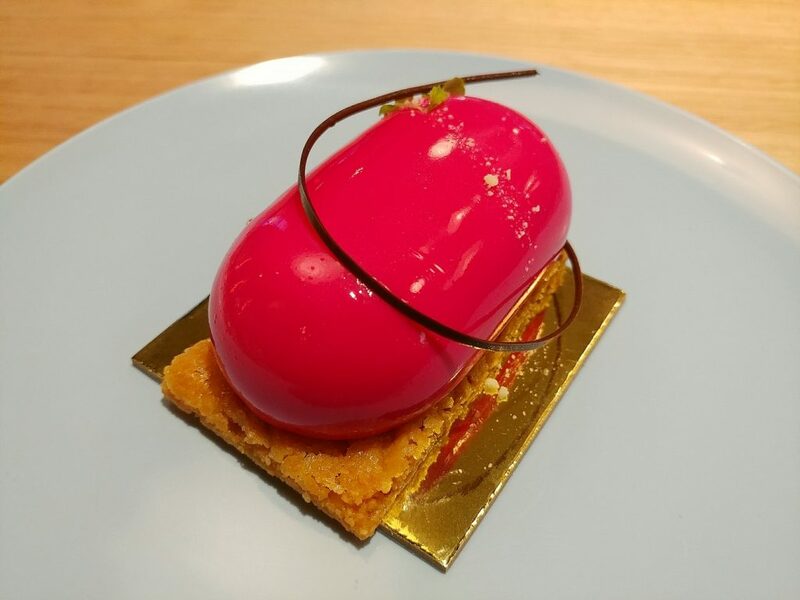 The Strawberry Pillow had almond sablé, strawberry lychee mousse, strawberry jelly, and lychee slices. It was a striking hot pink on the outside, the glaze smooth and a little sparkly, which doesn’t actually show up in the pictures. The glaze layer was slightly sweet, but didn’t taste specifically of anything on its own. The strawberry lychee mousse was smooth and light, tasting more of strawberry than discernibly lychee. 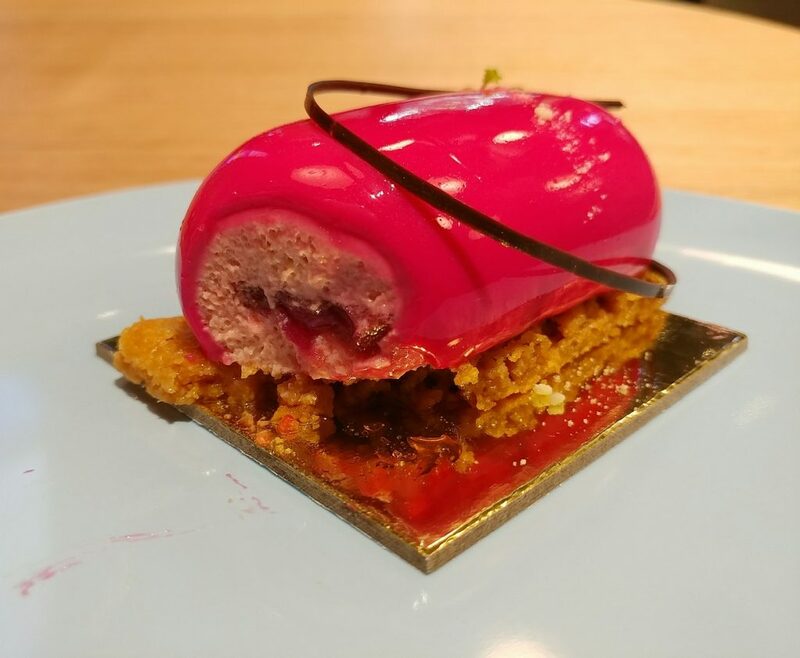 In the centre was a mix of the strawberry jelly and lychee slices. The jelly was soft and tasted like strawberry jam. The lychee slices retained a little of expected lychee texture, soft but more firm than pulp. The almond sablé base was crunchy and a little sweet, like compacted cornflakes. It was a bit hard to break with the plastic spoon though, and there was the risk of shooting it off the plate with each attempt to separate a bit out (in fact, that did happen..). The chocolate twirl was tempered dark chocolate, and tasted pleasantly rich and bittersweet. The cake was just mildly sweet overall, as promised, and there was plenty of strawberry flavour in it. I had hoped that there would be more lychee presence though. While it was a beautifully presented treat (as were the others), I think I was expecting more. 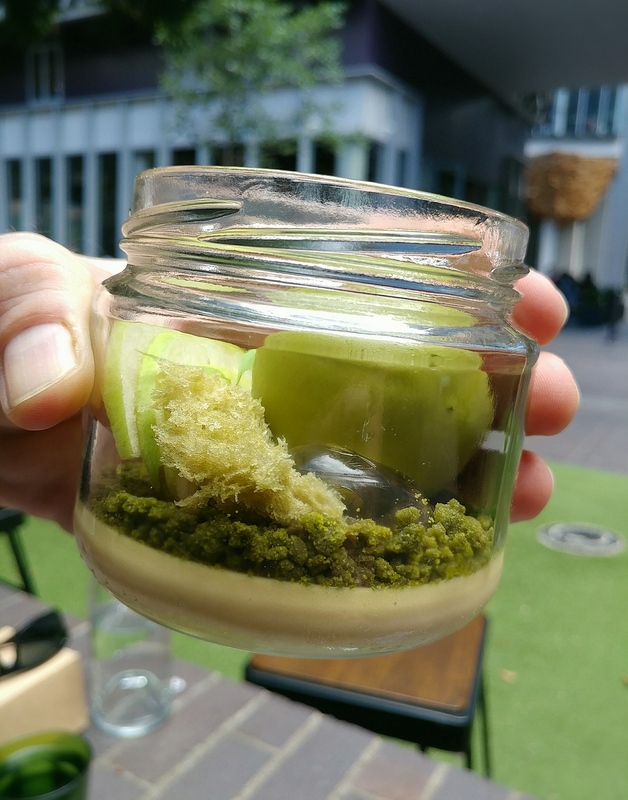 If there had been the time and space, I would have had the Popcorn as well (popcorn mousse with caramel and honeycomb jelly on a brownie), but there wasn’t the option at the time. The Strawberry Pillow cake from Koi. The Strawberry Pillow cake from the other side, with perfectly finished glaze. 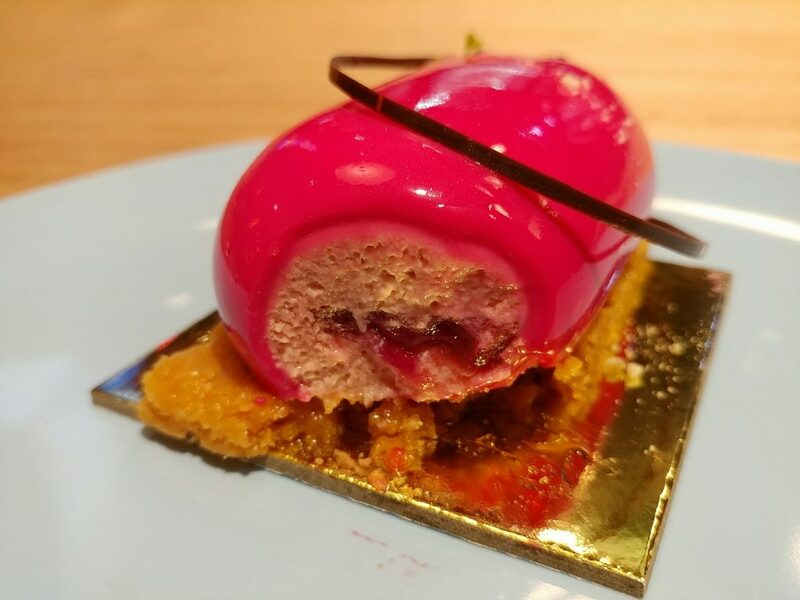 The inside of the Strawberry Pillow, with strawberry lychee mousse, strawberry jam, and lychee pieces, and the almond sable base at the bottom. The inside of the Strawberry Pillow seen closer up. 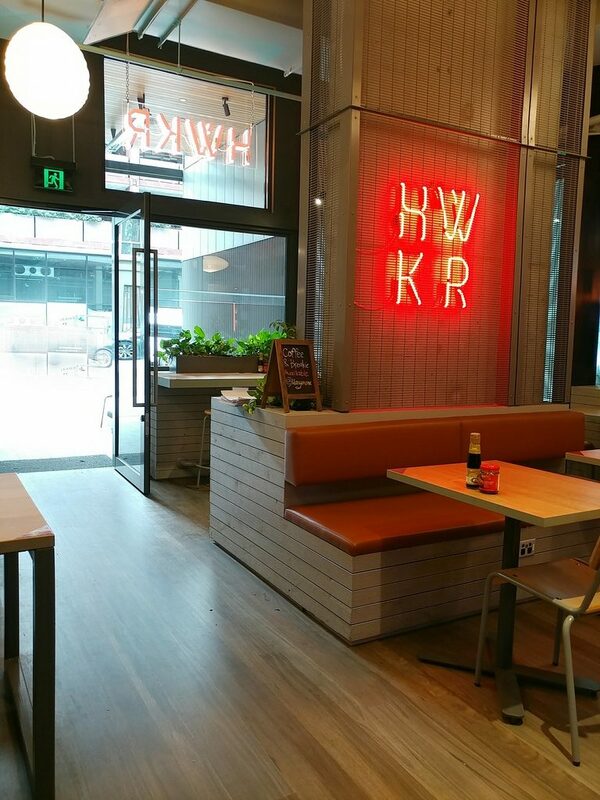 HWKR is an interesting concept, and having different food stalls rotating through means that they keep the novelty value of new offerings going, and can keep drawing diners in. 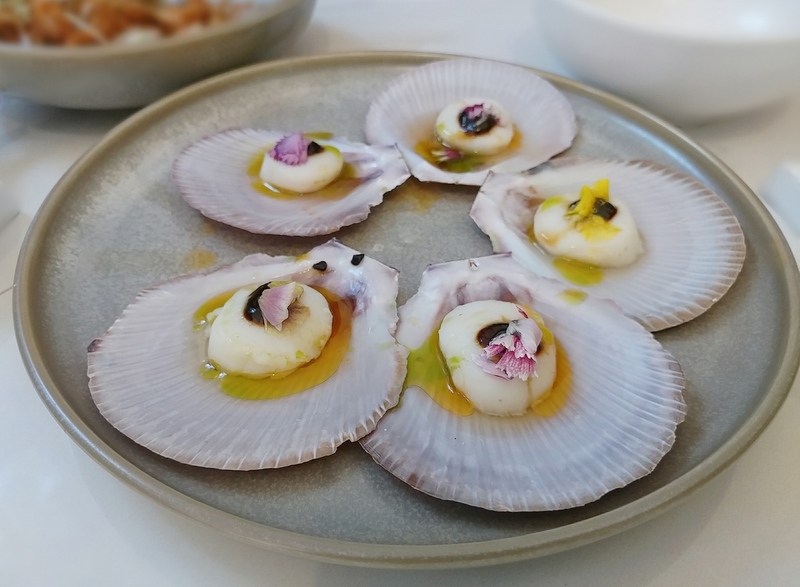 Things being available for a limited time only also adds the sense of scarcity, adding even more incentive for diners to visit and taste temporarily there wares while they can. 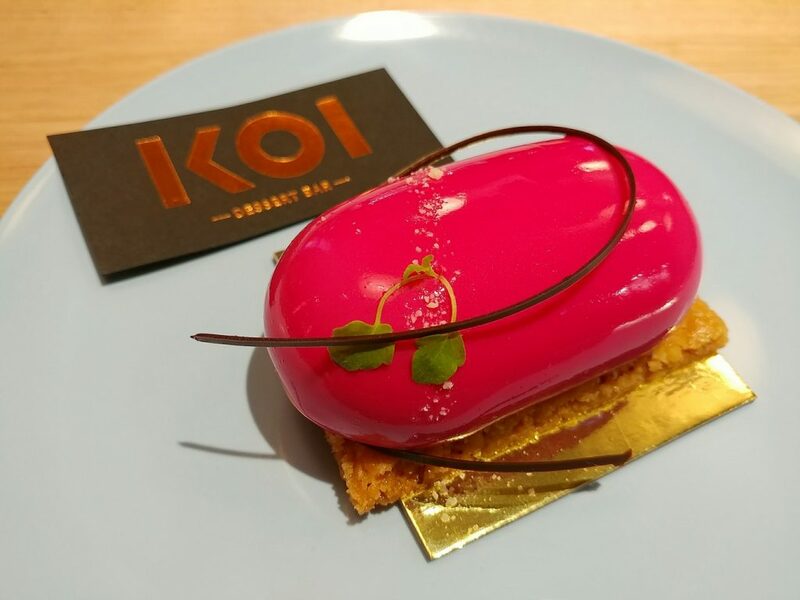 Another trip to try something else from Koi Dessert Bar might be warranted another time. One more look at that pretty dessert.